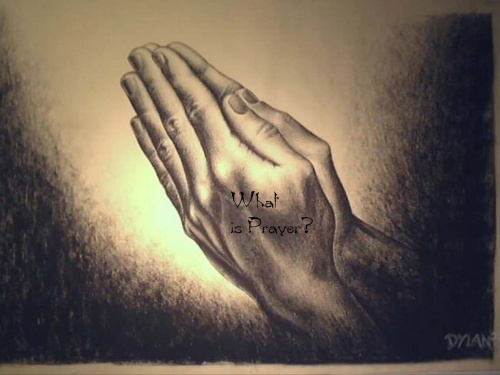 Treatment (Prayer) really means beholding Truth, God’s All-Presence, Power, Action, Completeness, which excludes forever the possibility there can be less anywhere, or something foreign added thereto. In the Light of Truth one instantly sees there is no problem to solve, error to handle, disease to treat, condition to overcome, and this Realization, Perception, already the unchanging Fact, appears as a “healing” but in Reality no change has occurred. God is all of all present – no disease or absence of Good existed to be destroyed. Do not tolerate the notion that turning wholly to God as all, is not effective, not potent! Never assume that drugs, the scalpel, the concerted opinions and treatment of learned specialists and technicians are more desirable, effective, certain. Turning to Truth in the hour of need is the most potent of all moves. One can never fail. The problem, no matter how severe, what its source or prognosis, how honored as a dread disease, how long it has ruled the organ, the body, the whole household, has not one iota of power, authority, ability to hinder or harm you in the slightest the instant you turn to Truth. God being the alone Mind already includes the perfect answer or solution, hence there are no problems yet waiting to be solved. Perfection can never be ill; It has no sickness to contact, contract or overcome. Infinity being The Alone has no decisions to make, for there is no choice where Truth is all, One. With just a tinge of arrogance, Truth students who think they have “arrived” say that the human experience is “nothing but a dream.” They spit the words out like chewing gum that’s lost its flavor. The trials, troubles and even the ecstasies are, to them, nothing but a bad dream…so they say. Ask these students questions, and let them keep talking. Soon, it is obvious. These well-intentioned Truth students cannot find an escape hatch to get out of this dream. Anyone in a burning building can scream, “The building is on fire,” but what is needed is a way out. Margaret said she knows that God is all. That knowing should be her escape hatch and the answer to her question. When you know the nature of God, and you know that God is all there is, you know that there is no dream to enter, and no dream to escape. Reader, I know that daily life often seems like a hellish maze. I know the body seems fleshy and cumbersome. I know that situations often seem cruel and crushing. However, you (yes YOU) do reach a point where you can look at all of this and know that only God, and what God is, is here. You will not reach this point by strenuous mental effort. You cannot reach it by shooting rounds of affirmations and denials at human troubles in a material world. No, it must be the way of Revelation. • Is this material world that I seem to be living in real, or not? • In my daily living, what is the evidence that God is All? • Do I have a mind that is aware of a material or human existence? Listen for the answers. Expect to “hear” the answers. No matter how long it seems to take, wait for the answer. It is well worth your investment. A woman asked me, “Allen, how do I know if I have really experienced Revelation?” I told her about my “Revelation litmus test.” Here it is: If you are wondering whether or not it was Revelation, it wasn’t. The experience of Revelation leaves no doubt, or uncertainty. Reader, I want you to take a few minutes to imagine yourself living a life where only perfection is experienced. Imagine yourself with a body that is perfect in every way. See yourself perfectly, constantly, and abundantly supplied with every good thing. See all of your affairs perfectly adjusted to the good of all concerned. 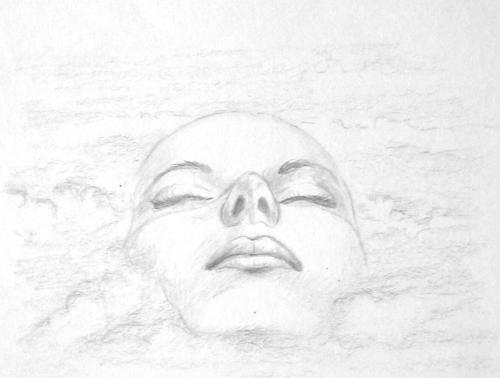 Let your imagination soar. Whatever your vision looks like, it pales in comparison to reality – your reality. Whether gradually by degrees, or in the blink of an eye, get about the business of discerning that God, and what God is, is your right here, right now experience. Kim Jong-un, leader of North Korea, appears to be showing very convincing evidence that he is something other than God-Identified. His actions seem to be something other than Love in action. However, you and I know that God is the only Presence, Power, Life, Mind and Identity. I am asking that you join with me in contemplating the One infinite God-Identity as the only Identity, and know that right there where there appears to be a power-mad dictator, there is God, and God alone. 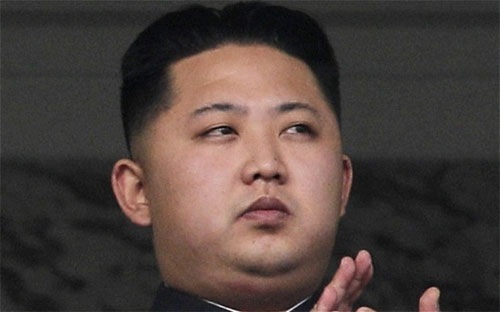 Let’s get busy knowing that Kim Jong-un, in all the glory of his puffed-up sense of self, is but a distorted picture of the One. Name, of course, means nature. 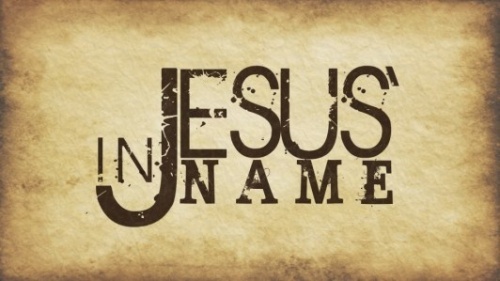 Whenever Jesus speaks of “In my name,” you must interpret it to mean “In my nature.” What is the Christ Jesus nature? Here in the Gospel of St. John, Jesus reveals His nature: “I and my Father are one(and the same).” “He that hath seen me hath seen the Father….” Christ and God are one and the same. To do anything in the name, or nature, of Jesus Christ is to do it in full recognition of one’s own Identity as the full Presence of God. There must come a point where one immediately associates the word or name “God” with his very own identity.